The magic and splendour of the opera comes to Dumfries in time for the festive season when one of Scotland’s most exciting opera companies perform their “brilliant” version of a Tchaikovsky classic. Opera Bohemia comes to the Crichton Memorial Church in December to present the world’s favourite Russian opera, Eugene Onegin, as part of the Absolute Classics series of concerts. Douglas Nairne, baritone, and Catriona Clark, soprano, lead a star cast of professional singers from this “young, exceptionally talented musical company”. The troupe will be joined by some of the musicians from the Opera Bohemia Ensemble: a chamber orchestra showcasing some of Scotland’s most talented young musicians. The opera, based on Alexander Pushkin’s famous novel, tells the story of a wealthy young man, who lives to regret his nonchalant dismissal of a young woman’s love. John Wilkie’s imaginative production sets the action in the time of the Russian Revolution. Sung in Russian with English surtitles, and accompanied by piano and violin, this promises to be a great night out for opera lovers and newcomers alike. 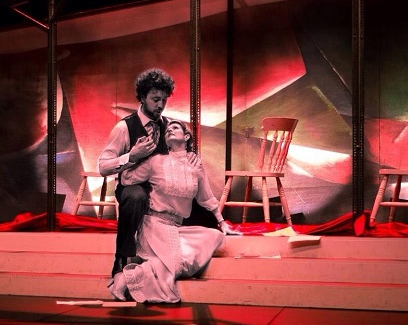 The opera received high critical praise during its 2013/14 tour and was described as “a triumph and a masterclass in how to present a hugely popular and well-known opera on a small stage”. This five star full opera will be presented for the evening of Sunday, 11 December at 7.30pm. 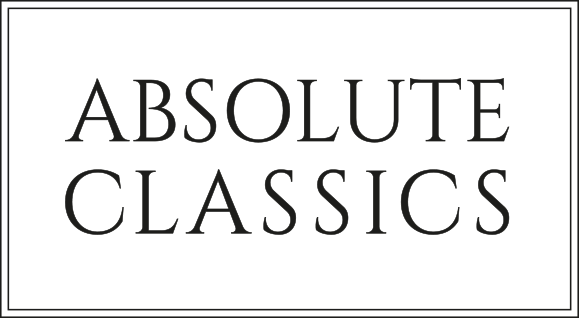 Absolute Classics director, Alex McQuiston, said: “Christmas is a time for indulgence and the experience of an enchanting and lavish opera is a real festive treat for all ages. “Eugene Onegin is Tchaikovsky’s most celebrated opera and, as usual, tickets are free to anyone under the age of 26. This gives the whole family a rare opportunity to experience this wonderful, quality production together inside one of the region’s most beautiful venues. Also coming up in December, world-acclaimed pianist Simon Callaghan will be joined by master of the bassoon Joost Bosdijk for next month’s concert series. They will perform two programmes of music by the likes of Saint-Saëns, Ravel, Dubois, Schumann, Elgar and Bennet at the Buccleuch and Queensberry Arms Hotel, Thornhill, on 8 December and the Cally Palace, Gatehouse of Fleet, on 10 December. All programmes begin at 7.30pm. The series continues in 2017 with internationally acclaimed pianist Grace Mo in January; the Aurea Quartet in February; and pianist John Lenehan will perform alongside friends for the series finale in March. Admission to all performances to the under 26s is free of charge.